All - just announced on WJFK, 106.7 The Fan. They will broadcast it live this afternoon at 4 pm. Not expecting Bruce to say anything of substance. My only hope is he makes an arse of himself - and ticks off Danny in the process. At some point in the future, I imaging Bruce's repeated stumbles will lead Dan to dump him. Just have no idea when that day will be. Bruce will be reading from placards, written by Tony Wylie. Taking questions -?oh boy - big deal really . Yah - I mean, can you imagine him 'unscripted' in Mobile? Lol! The last time I remember him being unscripted in front of microphones was when he was explaining Scot had to be with his grandmother (who, it turns out, died weeks before) instead of at the Senior Bowl. I'd really love to see an episode of Hard Knocks to see this clown show in action! Prove to the all too loyal season ticketholders how dysfunctional they really are. Will Cheerleaders be there also? "You'll just have to wait and see"
He will probably talk about "his" Yacht in Malibu (Dan's hand me down) where he has his multi-million dollar beach house and smile at the camera like the cat that swallowed the canary. There is nothing good that will come out of this. Save yourselves the heartache. Didn't want it to reach 550 days? I've received an advance copy of his speech. "Good afternoon. We're winning off the field. Thank you." Haven't they been 'pimped out' by Bruce already? Anybody close to there? I'll send money for coconut cream pies. Lots of them. When asked about prospective rookie QBs, he said 'we're here to watch the final college football game of the season.' Wow - that's a classic non-answer. Saying nothing but throwing bouquets to the Smith family, fans, and NFL players who have shown great concern about Alex's health / recovery. Can't take issue with that, really. Said we're going to have some new coaches, some new players (free agency and the Draft) and looking forward to the season. Said Gruden interviewing coaches now and we should be done in a couple of weeks. Saying the coaching search is being led by Jay - the more people he talks to, the more info he gets, etc. We're trying to find the winning combination in 2019. Absolutely not committing to anything specific - and no surprise there. Defended decision to keep Gruden, said we didn't get over that hurdle, allowing Jay to build up its staff, and hoping to have a terrific 2019 (not word for word transcribing here). Basically blew off the poor showing in the Finale, said Skins' fans have great passion, hired new people who are enthusiastic for our market, wouldn't go into the firings of LaFemina, etc. Believes we're close - just 2 games out of the playoffs. The prior 2 years we were just 1 game out of it. We need to get our guys back healthy. Reuben Foster - 'cleared' from Florida, doing what he's doing now - working hard, etc. 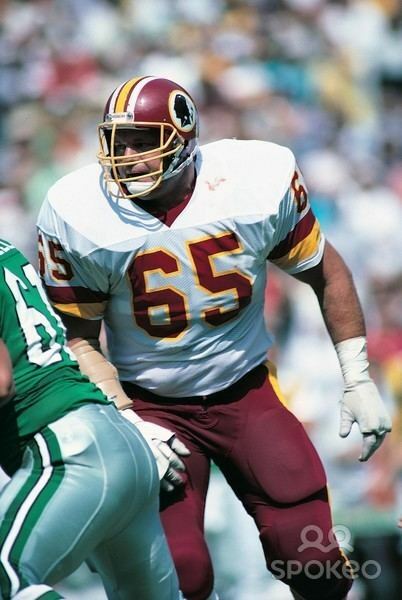 - to ever be able to suit up for the Skins. Now is talking BS. Dumb mediot questions fixated on the R. Foster waiver claim. Eric starting to work on our prospective FAs, it's early, will probably be getting to that around the time of the Combine. On Alex Smith deal - Allen said there was a meeting with offensive coaches, and maybe Manusky was there as well, and the decision to go get Alex was unanimous. Then had a meeting with the personnel folks, they were for it, but of course the team needed to work out the parameters to acquire him. He's really not saying anything, so it's what it is. Although now there is a question about the 'Fan Discontent' and #FireBruceAllen. Interestingly, unlike a year ago when he highlighted the W-L record Smith had in his career as a key reason for wanting to add him to the team, he made the point that he wasn't the only one that went in 7-9, it wasn't the players that were 7-9, it wasn't the coaches that were 7-9, etc. - also said Doug and his guys are working hard, and that 'we have to do better' there. "The fans are passionate ... we're going to get the organization believing in this." Was that last one a Freudian Slip? I would have thought he meant to say "we're going to get the fans believing in us." Hey gang - feel free to correct, add detail or points discussed I didn't capture. I thought he spoke well and apart from the death stare he unleashed around the #FireBruceAllen question, he seemed to get on with the press corps and the general vibe was "we should do this again". Thanks for posting that Big. Didnt see anything that really jumped out at me. Nor did I really expect it to. He didn't stumble - I'll grant you that. But Ali - he didn't say a darned thing, right? The only thing that was 'newsy' was that Coach Manusky was in on the coaching 'huddle' where the unanimous request was to go get Alex Smith; and 2) Manusky, per Bruce, attended some of those interviews with defensive coaches outside of the organization. The impression I'm getting is that Gruden may be re-thinking his philosophies, perhaps both offensively and defensively. and is trying to get some feedback and perhaps some synergies with whatever coaches are remaining. Bruce Allen's whiskey burn was on full display in that press conference. He looks terrible. His answers were what you would expect....long on injury excuses and we can do better....short on fan sentiment and his own accountability. Frankly, based on how bad the team played offensively and defensively for long stretches of the year (particularly the passing game), Jay does need to rethink a lot of things. But in his defense, our talent - game changers - sucked outside of DL (and Punter and Placekicker even). It really did. This is what boils my blood, CD. Only don't tell me that you're innocent. Because it insults my intelligence and it makes me very angry! Yep, it wasn't so bad, so hopefully he holds court again at the Combine. He didn't really say too much, but just a normalising of relations with the DC Sports media would be a start. That's kind but a low bar. Sorry, I can't stand his pol-like spin of saying mostly nothing. The exact opposite of Allen - and, not surprisingly, they are Winners - are Washington GM's Rizzo (Nats) and MacClellan (Caps). So I just can't stomach Bruce. On the other side, maybe LaFemina wasn't a fit with Snyder. Snyder has his way of marketing - aggressive, high energy... Michael Bay movie-esque, if you will. LaFemina came from big org NFL, where I'm guessing it's about keeping the brand clean for global / corporate / tv ads.